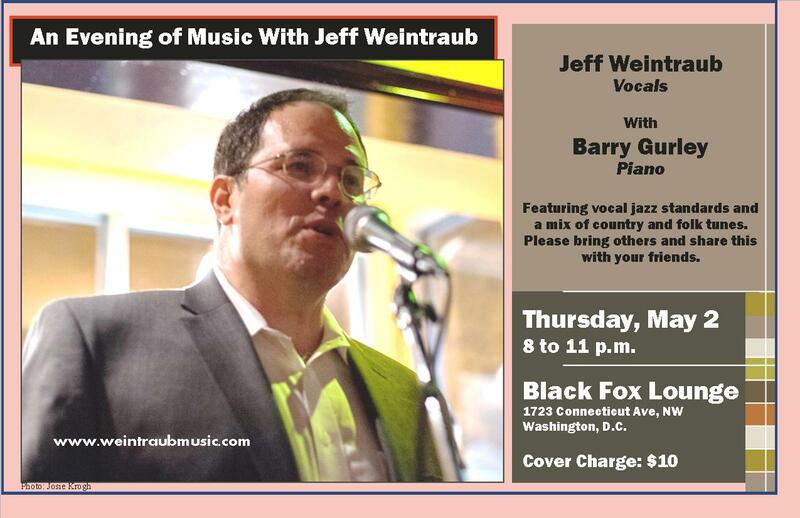 May 2 at the Black Fox Lounge, Washington, D.C.
I’m booked again to play at the Black Fox Lounge, 1723 Connecticut Avenue NW, Washington D.C., Thursday, May 2, 8 to 11 p.m. Backing me up once again will be Barry Gurley on piano. This time I’m going to bring my guitar and mix in some of my folk/country repertoire with the jazz standards I usually play. Cost: a mere $10 cover, no minimum. Click here for directions.